Is it a door? Is it a panel? No, it’s our 1117 pin hinge program! It has been our experience that for infrequently used access panels, where quick lift-off facility is needed, then a simple spring loaded pin hinge is the optimal solution. This type of application covers racking side panels, machine covers, equipment shroudings etc, where lightweight panels are often used and high degrees of sealing are not required. 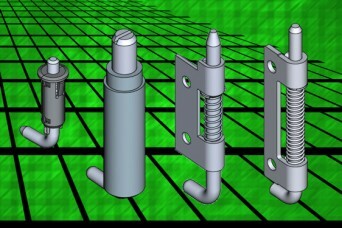 The 1117 pin hinge series includes the quick clip plastic housed U6 variant, the U3 and U5 steel versions for screw/rivet fixing and the U1 weld-on type in mild or stainless steel. All feature a spring loaded steel pin, with quick manual operation for superfast panel removal and fully retained components to make life easy in production assembly or for on-site access. 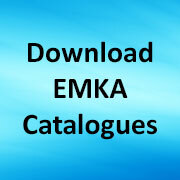 Selection of pin hinges for all panel sizes is now a simple matter with a powerful drill-down guide available on our main website at www.emka.co.uk. The full range of enclosure hardware includes electronic locking systems, stainless steel hinges, spanner locks, wing handle/locks, 19 inch cabinet locks, HVAC locks and profile sealing strips for enclosure sealing in natural rubber, EPDM, neoprene and PVC. Share the post "Our “keep it simple” pin hinges"